I don’t like Halloween, but as a kid we did celebrate Halloween because my mother loved it. As I got older I did wonder why my devout Christian family celebrated Halloween, which seemed to be a time to scare kids to death. It’s a time when we encourage children to dress up as scary monsters, ghosts, witches, devils, vampires in celebration of evil. Still there is something much more evil and sinister about Halloween than the scary costumes and it’s something that can literally kill us. Let’s look at the origins of Halloween to give us some perspective. Some say Halloween began as a celebration of All Saints Day and All Hallows Eve combined. It’s said to be the time the church remembered the saints, those martyred for the faith and those who had departed the earth. It was a time for lighting candles and placing them on graves of the dead to remember them, abstaining from meat and eating vegetarian foods like apples and soul cakes. Soul cakes are small cakes filled with cinnamon, allspice, raisins or currants. The baker would make the mark of a cross on the top of the cake. These were baked on Oct. 31, All Hallows Eve, as an offering to the saints who had died. The next day, All Saints Day, children would go from door to door begging for the cakes. This might be the beginning of the tradition we have today of trick or treating by going to our neighbors’ homes. Another possible origin for Halloween is in a Celtic festival commemorating the end of summer and harvest and the start of winter. They believed it was the time when the boundaries of the worlds of the living and dead became blurred. During the festival, people would light bonfires to ward off ghosts. They also made sacrifices to the Celtic gods to protect them through the winter, wore costumes and attempted to tell each others fortunes. The origins of Halloween may have been Christian at one time, but to me the overemphasis today on evil costumes, scary stories and haunted houses has taken the day out of the realm of being Christian. Churches and organizations that hold parties that allow fun costumes, games, hay rides, bounce houses, Bible stories and Bible-based plays in a family atmosphere are great ways to take back this celebration and change it from an emphasis on evil to an emphasis on God. Most of the time, though, even these events still have what I consider the biggest reason we should be afraid of Halloween. They still give away lots and lots of candy. Remember how the early Christians baked soul cakes, which children went around begging for? The soul cake was sweet, but it did not have the concentrated processed sugar and the candy we give children today has. This emphasis on sugar is truly the scariest part of Halloween, even though it is the part our kids look forward to the most. This season over 17% of all candy in America will be bought at Halloween. That’s over 600 million pounds of candy given to the most vulnerable of us all—our children. In 2018, the American Heart Association (AHA) reported one in three American children and teens are overweight or obese. These statistics have more than tripled since 1971. Today, childhood obesity is the number one health concern of American parents. It has topped drug abuse and smoking. Obesity can lead to many diseases that in previous years weren’t seen until adulthood. These can include heart disease, type 2 diabetes, high blood pressure and elevated blood cholesterol. Then, there are psychological effects like low self-esteem and negative body image. What is the cause of obesity? One big one is the over consumption of sugar and junk food. When we find out one of our children has a disease that greatly curtail or even end his or her life, it will take the sweetness out of any celebration. The AHA has tips for helping overweight children. Many of them have to do with limiting sugar or eliminating the access to foods with concentrated sugar and increasing meats, vegetables and fruits. The correlation between sugar addiction and Halloween is something I know all too well. I endured nights of running through the rain in a ghost costume with a plastic mask over my fogged up glasses, going up to doors with adults in vampire costumes playing scary music from loudspeakers just to be able to fill my bag full as much candy as possible. It was the one time of the year we could eat all the candy we could gather. Perhaps my mother thought it would make us so sick, we’d never want candy again. I really wish that had worked. It would have saved me years of super morbid obesity. Children will eat what we make available to them. If there is a current supply of fresh fruit or nuts, cheese sticks, yogurt without sugar, they will choose those. We can make this holiday what we want it to be. 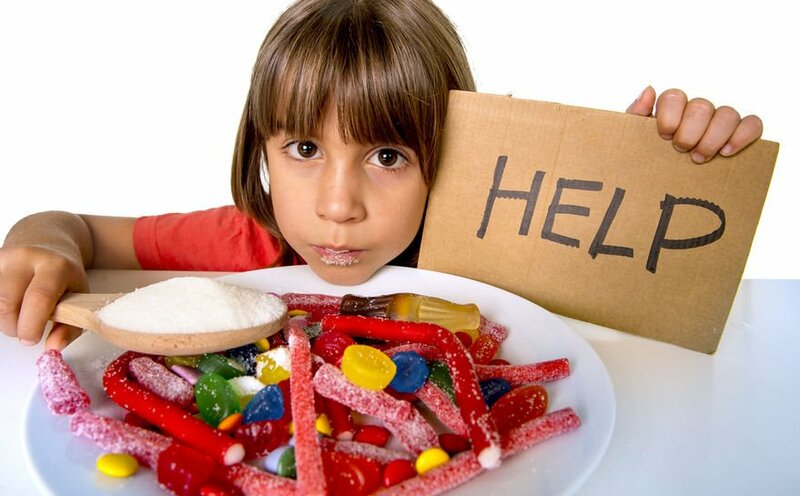 It can be a fun time for children to celebrate in a positive way or we can contribute to a sweet tooth that in later years can lead to a full-blown addiction and possible early death. Come to think about it, it is just like the evil one to orchestrate something as deadly and sinister as a holiday where we happily give and children joyously receive what could become a deadly addiction to them. 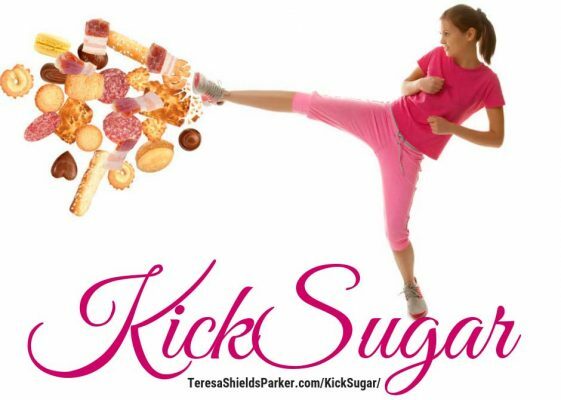 A costume can be taken off, but once sugar takes hold, it is hard to stop what it does to our bodies. This is the real reason to be afraid of Halloween. We don’t have to be afraid, though. We can take back our health and the health of our children and the other children we love. The aging apostle John said, “I pray that in every way you may succeed and prosper and be in good health physically, just as I know your soul prospers spiritually,” 3 John 2 AMP. This is what God wants for us. This is what we should want for our children. Protect the kids. Take a stand for health. It starts with you.